It barely leaves a trace. Thanks to its flat design and tapered traction points, the Shadow Cleat has raised the bar for non-dynamic cleats. A new space-age polymer material and wider reinforced legs provide golfers with great traction and durability. Shadow's flat center and tapered traction point is the ultimate in green friendliness. PrideSports’ patented Fast-Twist Insert System, the lightest weight cleat changing system in golf, was designed to make cleat changing quick and easy. A simple quarter turn of a cleat wrench deadlocks cleats into place with a double click, while a reverse quarter turn unlocks the cleats for quick changing. 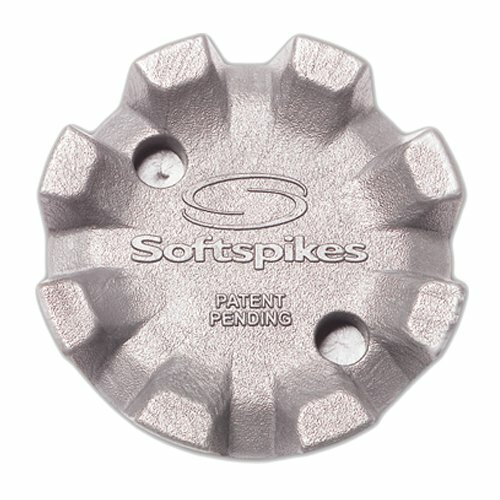 A patented “positive stop” lets golfers know when the cleat is fully installed. Fast-Twist Insert System is the #1 System of choice by Golf Footwear Manufacturers, and is now worn by over 75% of the players on the PGA TOUR.